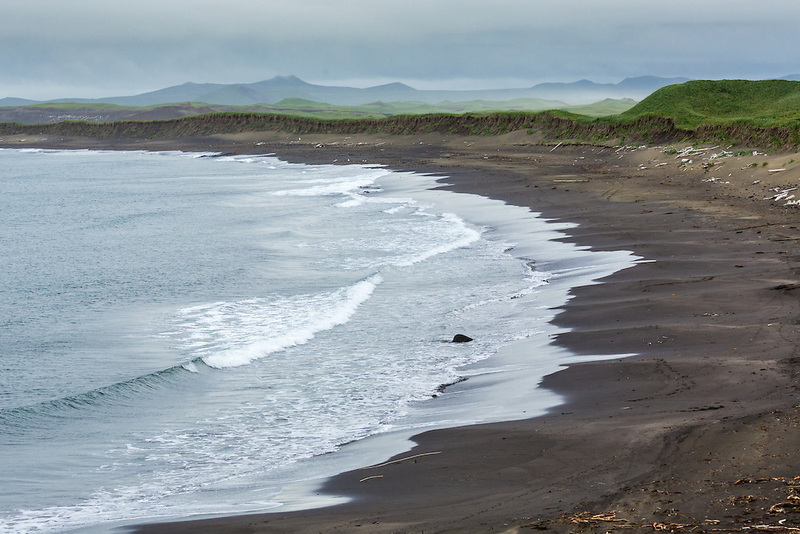 Bering Sea and the bluffs along the coastline of St. Paul Island in Southwest Alaska. Summer. Morning.